I’ve always adored fresh flowers. To me, they are one of the best ways to express one’s love, or thanks. I grew up with fresh flowers constantly around the house- my dad would buy my mom bouquet’s all throughout the year, and me and my sister would excitedly arrange them in my mom’s crystal vase that she had gotten as a wedding present. My mom taught me at an early age the joy that sending a dozen roses can bring- to both the recipient and sender. To this day my dad still buys my mom dozen’s of roses, however, I’m old enough to acknowledge that my flower arranging skills are lackluster to say the least. Since, then I’ve developed a liking for tastefully arranged bouquets- which, if you live in NYC, can be extremely pricey. So when Ode à la Rose approached me about offering a giveaway to NYC Talon readers- I was more than thrilled to get to share an opportunity to receive or send fresh flowers with one lucky winner! 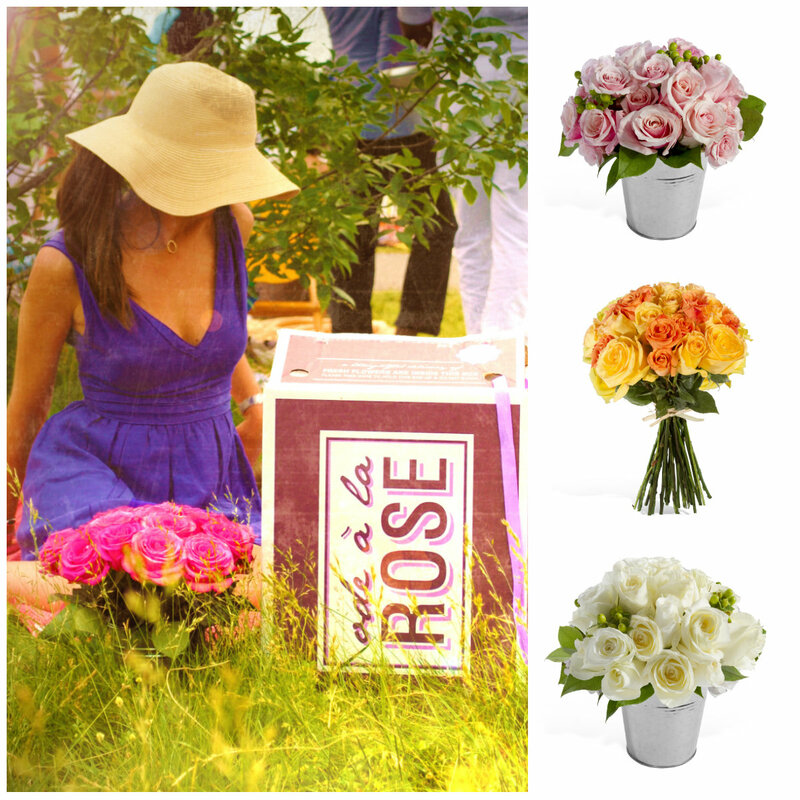 Ode à la Rose is a luxury online rose delivery boutique catering to the Metro NYC area that offers beautifully curated bouquets at mid-level pricing. That means you get gorgeous hand crafted bouquets, with every personal touch of a mom and pop type shop, at competitive prices. Started in April of 2011 by two Parisian bankers-turned-florists, Olivier Plusquellec and Louis Brunet, Ode à la Rose has brought the refreshing modern-classic Parisian way of sending flowers to the big apple. Recognizing the city’s need for boutique level perfectly cut roses, each bouquet is hand-tied and delivered on the same day. Personally, I flat out love the packaging and presentation of Ode à la Rose’s bouquets. Plus, their bouquets are all handcrafted and designed by their in-house French Florist-Designer. Add in real-time photo follow-up with the purchaser (so you know exactly what is being sent), and you’ve got a seriously luxurious online delivery floral service. 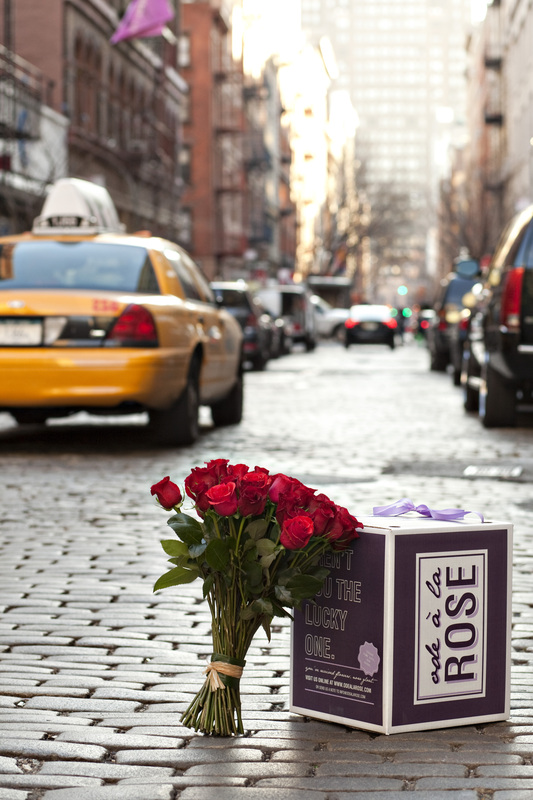 Now for the giveaway, Ode à la Rose would like to offer one lucky NYC Talon reader a rose bouquet of a dozen roses in any of the six color variations that they offer (red, yellow, white, pink, mixed, or gold)- delivered to any location in Manhattan, with a retail value of $60! Enter to win a bouquet like the one pictured above! Share this giveaway via social media (twitter, facebook, bog post, etc.) and leave a link! * I did not receive any form of compensation for this post/giveaway, all opinions are strictly my own. This giveaway is open to those in the US who are 18+ at the time of entry, and will end 9/21/12. Previous Post Summer, SOYJOY, and a Giveaway! Liked Ode à la Rose on facebook! Followed The NYC Talon on twitter! Liked The NYC Talon on facebook! Followed The NYC Talon on Pinterest! Liked Ode a la Rose on Facebook! I Like Ode à la Rose on Facebook! (Robin O’Sullivan) Thanks!! I Like The NYC Talon on Facebook (Robin O’Sullivan). Thanks! I follow some of The NYC Talon boards on Pinterest! Followed Ode a la Rose on Twitter! I like ode-a-la-rose on facebook.